Upper Rubber Boot Books, 9781937794750, 254pp. 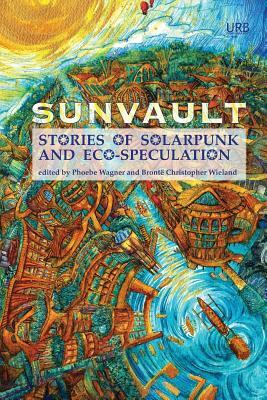 Sunvault: Stories of Solarpunk and Eco-Speculation is the first anthology to broadly collect solarpunk short fiction, artwork, and poetry. A new genre for the 21st Century, solarpunk is a revolution against despair. Focusing on solutions to environmental disasters, solarpunk envisions a future of green, sustainable energy used by societies that value inclusiveness, cooperation, and personal freedom. Contributors include Elgin Award nominee Kristine Ong Muslim, New York Times bestselling author Daniel Jos Older, James Tiptree, Jr. Award winner Nisi Shawl, World Fantasy Award winner Lavie Tidhar, and Lambda Literary Awards finalist A.C. Wise, as well as Jess Barber, Santiago Belluco, Lisa M. Bradley, Chloe N. Clark, Brandon Crilly, Yilun Fan and translator S. Qiouyi Lu, Jaymee Goh, Jos M. Jimenez, Maura Lydon, Camille Meyers, Lev Mirov, joel nathanael, Clara Ng, Sara Norja, Brandon O'Brien, Jack Pevyhouse, Bethany Powell, C. Samuel Rees, Iona Sharma, Karyn L. Stecyk, Bogi Tak cs, Aleksei Valent n, T.X. Watson, Nick Wood, and Tyler Young.